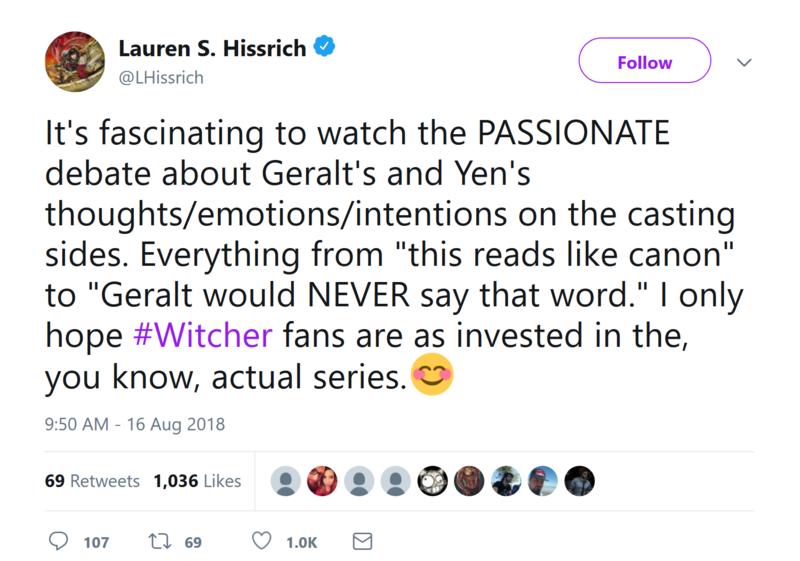 Posted on Reddit, users found two scenes that both feature the sorceress Yennefer and, while they won’t make it into the show, they may give fans a glimpse into how these roles will be portrayed. The first scene follows Geralt of Rivia himself, as he and Yennefer prepare for a ball and he complains about not wanting to go to said ball. The second scene is a conversation between Yennefer and a “King” and Yennefer holds no punches in telling this King how she really feels. Hissrich also commented on the “fascinating” aspects of this leak, as it has engaged fans in a fevered discussion about Netflix’s portrayal of the beloved franchise and how close or far away these scenes capture the essence of the characters. Netflix’s The Witcher series was announced in 2017 and the writer of the original novel that inspired the video games, Andrzej Sapkowski, will be a creative consultant. The series is set to air in 2020 with eight episodes, and in February of this year Hissrich revealed that the pilot script had been completed. In an interview with IGN, Superman actor Henry Cavill expressed his interest in playing the White Wolf, Geralt of Rivia, as he is a big fan of the books and the games. 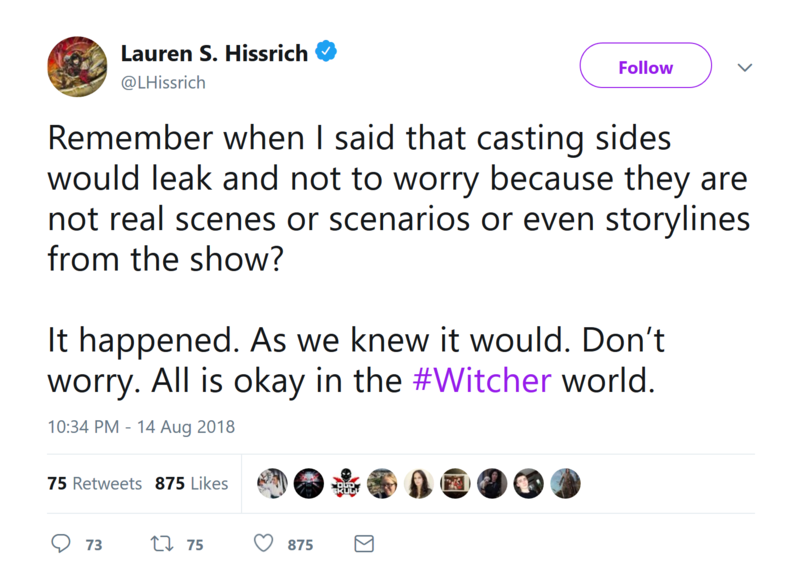 Adam Bankhurst is a news writer for IGN who always feels bad when things are leaked, but applauds how Lauren took this issue head on. You can follow him on Twitter @AdamBankhurst.